Ovâssave is about blending the 1920’s orientalist aesthetics into modern day individualism to produce singular kimonos. 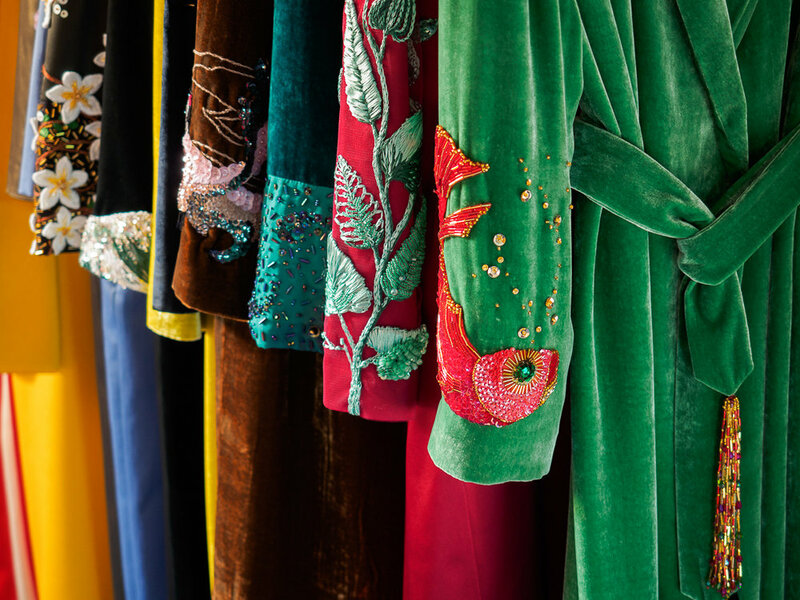 Completely handcrafted, embroidered and made of the finest silk, wool and cashmere, each kimono is unrepeatable. Each Ovâssave kimono is a piece unique and size unique. Each Ovâssave kimono can be whatever you want it to be. Ovâssave kimonos are made of finest natural fabrics like silk, wool, cashmere, cotton, linen and silk velvet. For different types of lining we use viscose, cashmere, silk, batiste and chiffon. 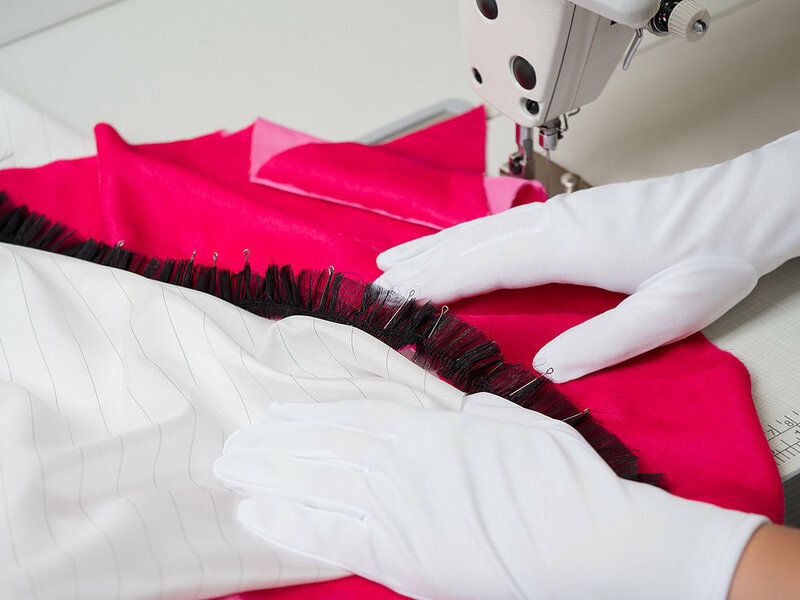 It takes 36 hours to cut and sew each kimono. Ovâssave embroidery is inspired by art, mythology, nature and philosophy. The concept of Ovâssave is rooted between Art Nouveau aesthetics, Japanese mythology, European philosophy and global vision. Each Ovâssave Kimono is embroidered by hand with unique blend of materials: beads, silk, lamé and wool threads, spuns, viscose ribbons, sequins, stone and plastic beads, metal chains, lace, wood paiettes, crystals and river pearls. 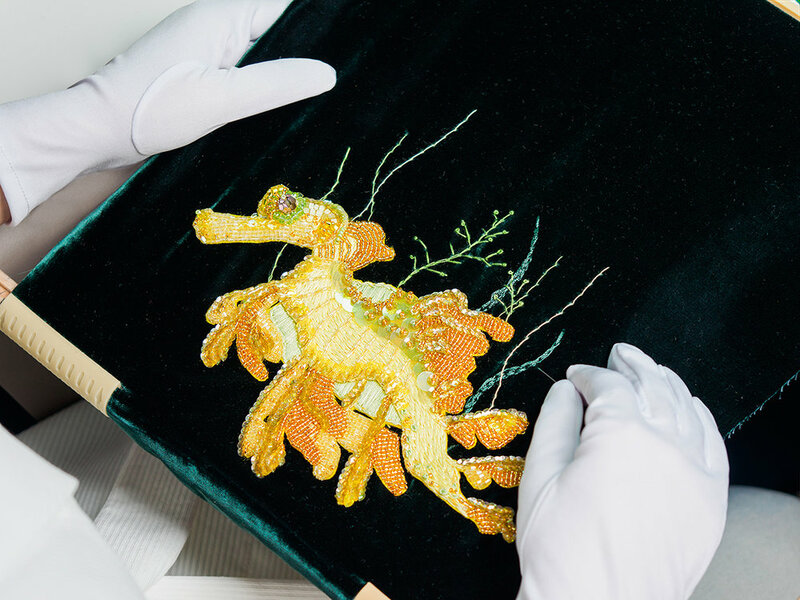 Embroidery of each kimono takes from 14 to 150 hours of hand work.